Is your nonprofit too cash-strapped to run a nationwide awareness campaign with an online contest or to create and manage a wish list with millions of products? You’re not alone. But here’s help in the form of free nonprofit marketing tools from Amazon and Google. In the face of cacophonous competition for donor dollars, a marketing push from Amazon and Google – behemoth sites with huge resources and millions of daily visitors – can engage, entertain and generate donations. Google and Amazon each provide free robust marketing tools for nonprofits. When you creatively combine them, you’ll be on your way to a whole new world of marketing success. Amazon’s new Giveaway Sweepstakes program, which dramatically simplifies holding contests, is their latest offering. 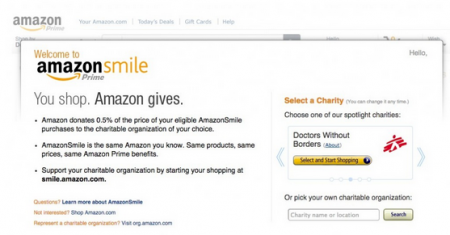 Amazon Smile Program, which allows Amazon shoppers to direct a portion of sales to a charity. Amazon Wish List, which lets your charity specify the items it needs so that donors can choose to buy those and ship them to you. These Amazon programs, separately or in combination, can be lucrative for charities, but the big challenge is letting people know about them. That’s where Google comes in. Google Ad Grants – AdWords for NonProfits empowers nonprofit organizations, through $10,000 per month of in-kind AdWords™ advertising, to promote their missions and initiatives on Google search result pages. There’s also The Google Grantspro program which offers an increased spend cap of $40,000 per month in free advertising, added to the standard $10,000 per month, for eligible Google Ad Grantees. Let’s take a closer look at how these programs work. So long as the item you want to give away is sold by Amazon.com and under $5,000 in value, it’s easy to set up a promotional sweepstakes with a few clicks. 1. First-come, first-served prizes awarded to a set number of eligible entrants. 2. Lucky number sweepstakes, which awards a prize to every set number of entrants. For example, you could have very 35th entrant win, with up to 10 total winners. Amazon runs the actual giveaway, notifies winners, and handles shipping, tax reporting, and other complex tasks. All you pay for the items you want to give away in the contest, shipping and sales tax. You can increase your social media following by asking entrants to follow your Twitter, Facebook, Instagram, GooglePlus or other social accounts. You can capture email if you set up a landing page on your site or a blog or Facebook post with the sweepstakes information and send them the link to Amazon to enter when they provide email. There are, of course, Pros and Cons of using Amazon’s Sweepstakes Program, as Momares.com and other observers noted. But many of those are surmountable, and, it’s an opportunity for a nonprofit with limited resources to expand its reach, make marketing more appealing with gamification and gain some Twitter followers in the process. You don’t have to create entry forms, write rules, ship prizes or handle the tax issues. NPOs set up Amazon Wish Lists so donors can learn what they need. Potential purchasers will see Buying Options instead of Add to Cart next to the item. Buyers know they can depend on Amazon’s patented payment technology to make their transactions safe and secure. Wish Lists give donors who may not want to give cash, but who wish to help in other ways, an easy option. Homeless outreach NPOs, food banks, and animal rescue charities, for example, rely on gifts of non-perishables which are easily sent via Amazon Wish Lists. As Valerie Heimerich reported in Examiner.com, the Sacramento Food Bank Services provides needy Sac County residents with food, clothing, parenting classes, senior services and education programs for children and adults; more than 150,000 people benefited from the charity’s services in 2014. The Food Bank’s wish list includes items such as soap, diapers, onesies, school supplies, canned food, infant formula, books and markers for kids, binders, stationary, toys and educational games, dictionaries, office supplies, flashlights, plain t-shirts and linens. This program aims to take the guilt out of online shopping by letting shoppers choose from over one million organizations to support with every purchase they make at Amazon. The company donates a 0.5% of the purchase price to the charitable organization. There is no upper limit on the amount Amazon will give away. And every time a shopper returns to Amazon a donation is automatically made to their chosen charity. This can even be a factor in where people choose to buy. In fact, according to MobileCause CEO Sean MacNeill 91 percent of consumers will switch to brands that support causes they care about. 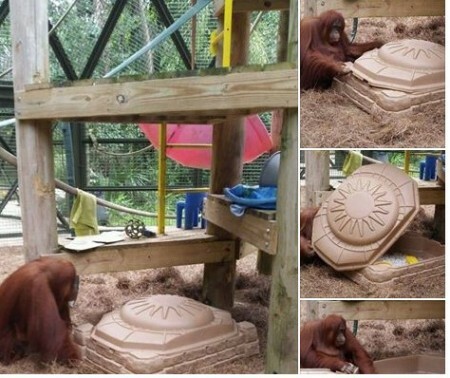 Donations are made by the Amazon Smile Foundation, a private 501(c)(3) foundation created by Amazon, to administer the AmazonSmile program and are not tax deductible by customer. Details for charities to sign up are here. Amazon provides a variety of marketing tools for nonprofits using Smile, including a customized AmazonSmile landing page that can be used in email newsletters, on your website, or in social media posts. Downloadable website banners and social sharing widgets are provided to reach your Facebook and Twitter followers. The key to success in any campaign is being able to drive traffic to it. Google AdWords are the ads that appear on the sides of Google search results and can help your organization spread your message to many more people on the Internet. In Google AdWords, you create campaigns that use advertisements to target search keywords that people type into Google search – the world’s foremost provider of digital traffic. Google AdGrants lets nonprofits set keywords that cost up to $2 per click. Then anyone searching on Google for those keywords can be directed to the website, where they can learn about what the organization offers. See Whoishostingthis’ infographic for a basic guide to Google AdWords for nonprofits. What can your nonprofit do to create broad awareness, engagement, and donations with the support of these powerful tools from Internet giants? We’d love to hear your success stories. B.L. Ochman CEO of Maximum-Plus.com is an expert in Digital Strategy, content production and coaching for forward-thinking brands, associations and agencies. As a digital strategist, co-host of the award-winning Beyond Social Media Show podcast, YouTube Channel Creator, President of whatsnextonline.com, and publisher of What’s Next Blog, she’s been helping blue chip companies incorporate new media into their marketing mix since 1996. B.L. contributes to Ad Age Digital Next, Social Media Today and others and has spoken at more than 25 marketing conferences. Follow B.L. on Google+ and Twitter.